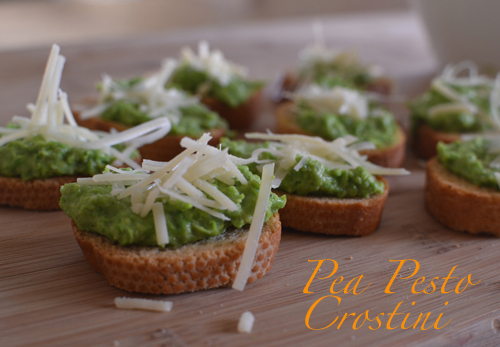 If you're looking for an appetizer or quick snack that tastes delicious, is somewhat healthy and takes less than ten minutes to prepare, then you need you need to try pea pesto crostini. Plus, "little toasts" are just too darn cute! 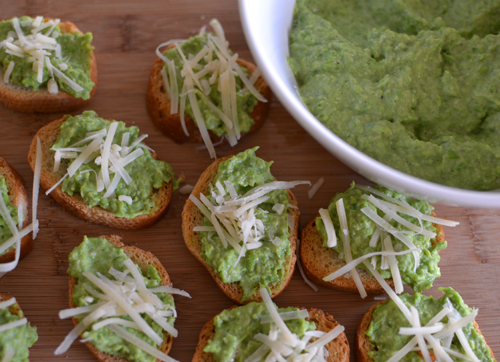 There are many recipes online for pea pesto, but I made this one up using a few basic ingredients that I always have on hand in my kitchen. 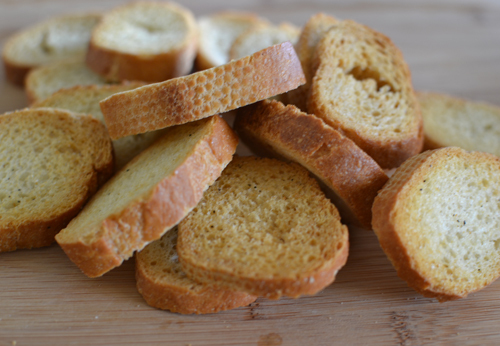 To make things even easier, I bought a bag of pre-sliced crostini from Whole Foods - so easy! Top with sliced cherry tomatoes (which I did not have) for an added pop of color! That looks so simply and delicious!! Can't wait to try it. at first i thought that was avocado/guacamole and i was like SIGN ME UP. 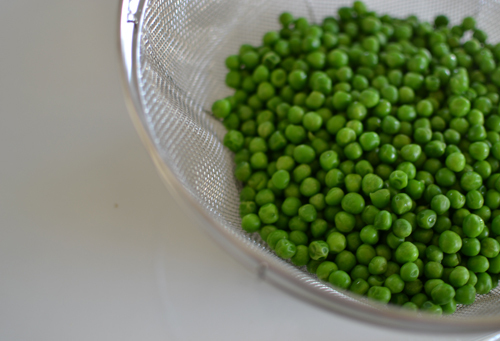 sadly, i do not like peas but my mom would DIE for this recipe! =) sharing this with her! and can't wait to see you at luckyfabb! have a great weekend audrey!